Silverton - Photos may be of a similar model w/ some upgraded options. 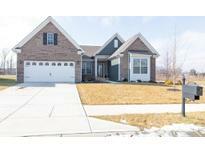 MLS#21616255. Berkshire Hathaway Home. Better than building-it's move-in ready with high end blinds, curtains and all kitchen appliances stay. MLS#21615478. Green Pocket Realty. The garage will fit 3 cars and the neighborhood offers a pool, basketball and tennis courts, walking trails and plenty of common area. Great Neighborhood and Great Location! MLS#21615866. CENTURY 21 Scheetz. 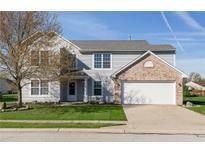 9' walkout basement with bathroom rough-in & spacious 3 car front load garage. MLS#21614965. CENTURY 21 Scheetz. Great working space in the garage. Schedule your showing today! MLS#21614916. 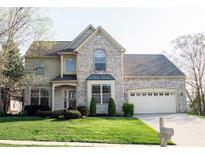 Keller Williams Zionsville. Put this one on your list to see. MLS#21614671. Highgarden Real Estate. Partially finished basement. Estimated Completion date May 2019. MLS#21614438. CENTURY 21 Scheetz. 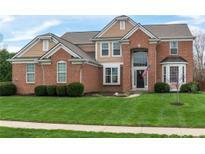 Calumet Farms - All This In Fishers' Hottest New Neighborhood, Brooks Park W/ Community Pool, Clubhouse, Playground & More. Don'T Miss! MLS#21613841. Keller Williams Indy Metro NE. 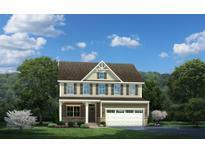 Calumet Farms - 3 car attached garage, hardwoods, built-in bookshelves & more! HSE Schools! MLS#21614275. Leo Signature Realty. Windermere - Enjoy private,quiet evenings on this patio & deck overlooking woods & serene stream or have dinners in the Gazebo! MLS#21614226. CENTURY 21 Scheetz. Hunter's Run has great amenities such as a pool, basketball and tennis courts and is in the Hamilton Southeastern School District. MLS#21614335. CENTURY 21 Scheetz. This Boardwalk floor plan is a great family plan with open living that features a sun-room, boot bench in mudroom, 2 car garage with 4 ft bump, fireplace, Pulte Planning Center, loft upstairs and separate tub and shower in master bath. MLS#21614286. CENTURY 21 Scheetz. 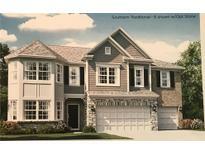 Calumet Farms - All This In Fishers' Hottest New Neighborhood, Brooks Park W/ Community Pool, Clubhouse, Playground & More. Don'T Miss! MLS#21613842. Keller Williams Indy Metro NE. Anderson Hall - Open the door to luxury at it's finest, everyday living made simple with this open floorplan! MLS#21613779. F.C. Tucker Company. 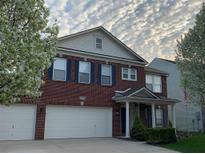 Anderson Hall - of 3 car garage!Master w/ laundry access & tiled super shower!All bedrooms have en-suite baths.Finished basement w/ 9' walls,full bath,bedroom,&wet bar rough-in.Relax on your rear covered lanai!Community pool,clubhouse,playgrounds,&green space.See why Fishers was ranked #1 Place To Live in America by Money Magazine 2017!Photos are not of actual home~same floor plan~colors and selections will vary. MLS#21613741. CENTURY 21 Scheetz. Canyon Ridge - New roof & water Heater. Reverse Osmosis System. Community playground. MLS#21614062. F.C. Tucker Company.